Few players in world football can match the current form of FC Bayern München striker Robert Lewandowski. 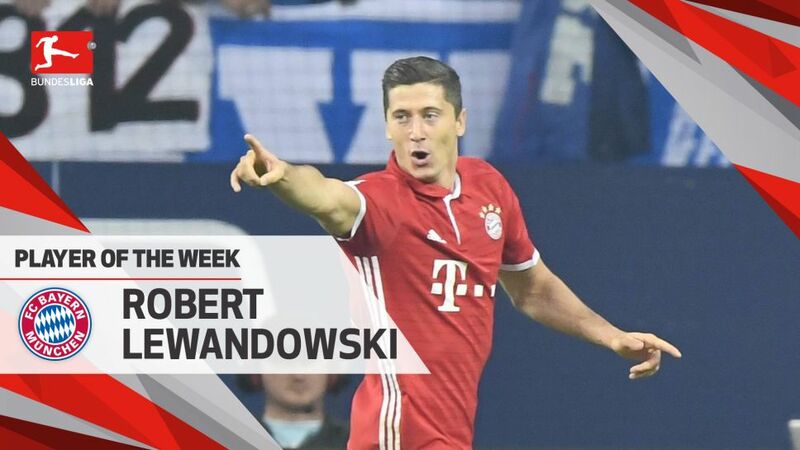 A contender for Bundesliga MVP on Matchday 1, the prolific Pole won the honour this time following his goal and assist in the final ten minutes of Bayern’s 2-0 win against FC Schalke 04 on Matchday 2. Congratulations! Is Lewandowski in your Official Fantasy Bundesliga side? If not, sign him up now! Four goals in his opening two Bundesliga games represents the 28-year-old's best ever start in seven seasons in Germany's top flight.With the Poland international managing seven efforts on goal against Schalke, team-mate Manuel Neuer said Lewandowski should have scored more!No stranger to breaking the deadlock, Lewandowski did so nine times on his way to topping the Bundesliga goalscoring charts last year.The Bayern forward registered his 50th for the club last week in what was record timing for a Bundesliga club.Friday's performance brought the Pole 15 Official Fantasy Bundesliga points, taking his tally thus far to 39, or a huge 78 if you had him as captain for two Matchdays running!